Goodyear's Blimps have been a common sight in American skies since the launch of the Pilgrim in 1925. These leviathans of the sky were and still are mainly used for advertising and capturing aerial views of live sporting events on television. 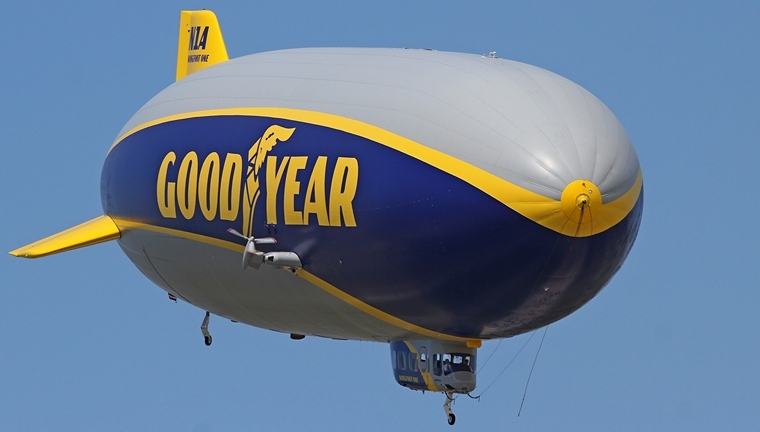 The Goodyear Tire and Rubber Company involvement in Airship construction started in the mid 1915s. The company initially build airships for military use in partnership with Germany's Zeppelin Company. The partnership was dissolved at the start of the War. The company's largest airships were the ZRS-4, USS Akron her sister ship the Macon. Construction commenced on 31 October 1929 and the Akron was launched 8 August 1931. The helium filled Akron and Macon were amongst the largest flying objects ever build. At 785 feet (239 meters) they would have dwarfed the new generation of semi rigid 246 feet (74 meters) long airships built for Goodyear by Luftschiffbau Zeppelin from 2011 onwards. 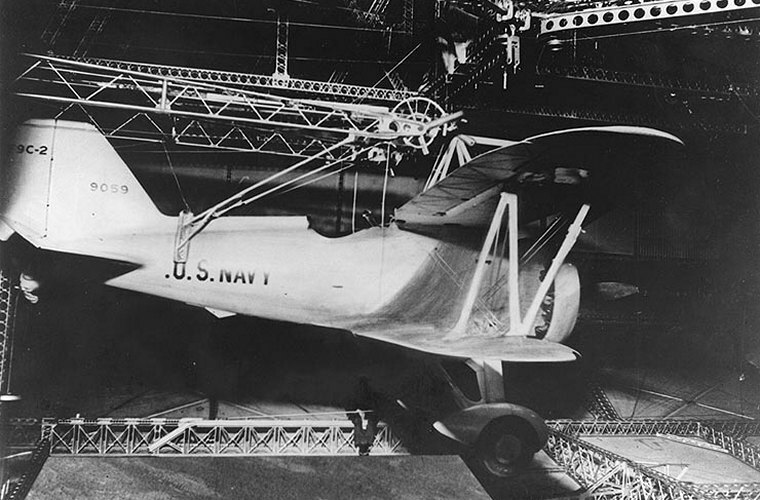 The Akron was the world's first purpose-built flying aircraft carrier, carrying F9C Sparrowhawk fighter planes which could be launched and recovered while she was in flight. The term blimp itself is defined as a non-rigid airship and in the past Goodyear's fleet mostly consisted of this type; airships with no internal structure, the pressure of lifting gas contained within the airship envelope maintains the vessel's shape. Although technically incorrect, Goodyear has decided to retain the term 'blimp' in in its new semi-rigid models. 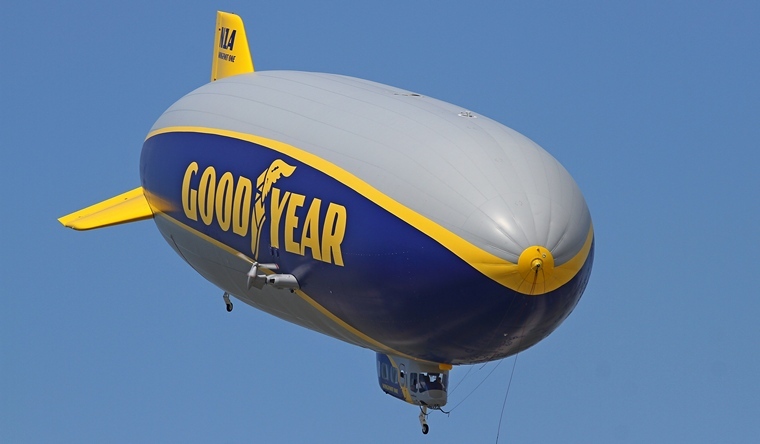 On 24 February 2014 the 'Spirit of Goodyear' was retired after 14 years of service and on 23 August 2014 'Wingfoot One', the first of the company's new semi-rigid models was revealed to the public. 'Wingfoot Two' took to the sky on 21 October 2016. 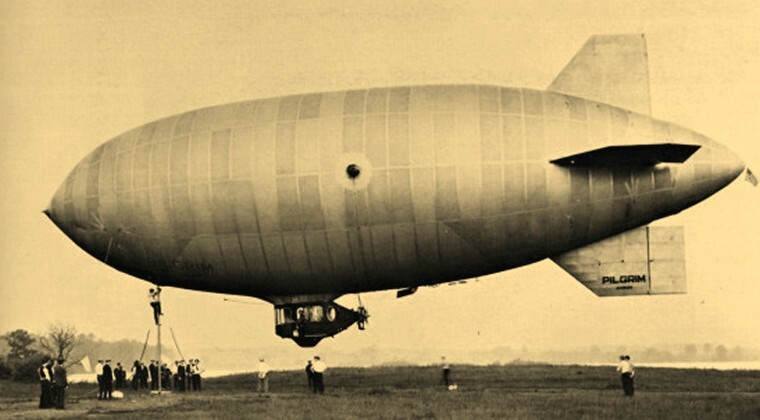 A third airship, the non-rigid ten year old 'Spirit of Innovation' completes the company's current fleet in the USA. The two new semi-rigid blimps feature electronic controls work in conjunction with an on-board computer to regulate engine thrust, up-and-down movement, and right-and-left movement. Tail fin operation is controlled by a joystick device. These advancements result in more precise operation of the airship while in flight, on landing, and on take- off. In addition, the new blimps have a top speed of 73 miles per hour, compared to the current maximum of approximately 50 miles per hour of the old non rigid models. Five blimps have been involved in accidents. Only two, that of Wingfoot Air Express and The Spirit of Safety I, resulted in loss of live. On 21 July 1919 the Wingfoot Air Express was transporting passengers when it caught fire and crashed through the skylight of the Illinois Trust & Savings Bank. One crewman, two passengers, and ten bank employees died. On 30 September 1990 the Columbia made a hard landing when a R/C pilot intentionally rammed his model airplane into the blimp, tearing a three-foot hole through the envelope. The Spirit of Akron crashed on 28 October 1999 when it suddenly entered an uncontrolled left turn and struck trees. On 16 June 2005 the Stars and Stripes was caught in a strong thunderstorm that eventually pushed the aircraft into trees and powerlines. The Spirit of Safety I, operated by Lightship Europe Limited operated in Goodyear livery, caught fire 12 June 2011 while on landing approach to the Reichelsheim Airport, Germany. The pilot, Michael Nerandzic, flew the airship low enough that passengers could leap to safety. Nerandzic, who had some control, died whilst climbing away to avoid the flaming wreckage from hitting the escapees. Goodyear, unfortunately, has a long-standing policy that no public rides are offered. The only passengers that the company will allow on the blimps are corporate guests of the company and members of the press.